Payment is done in the Counseling Office, with Ms. Sandy Hulbert. The PSAT test, is a practice test for the SAT exam. 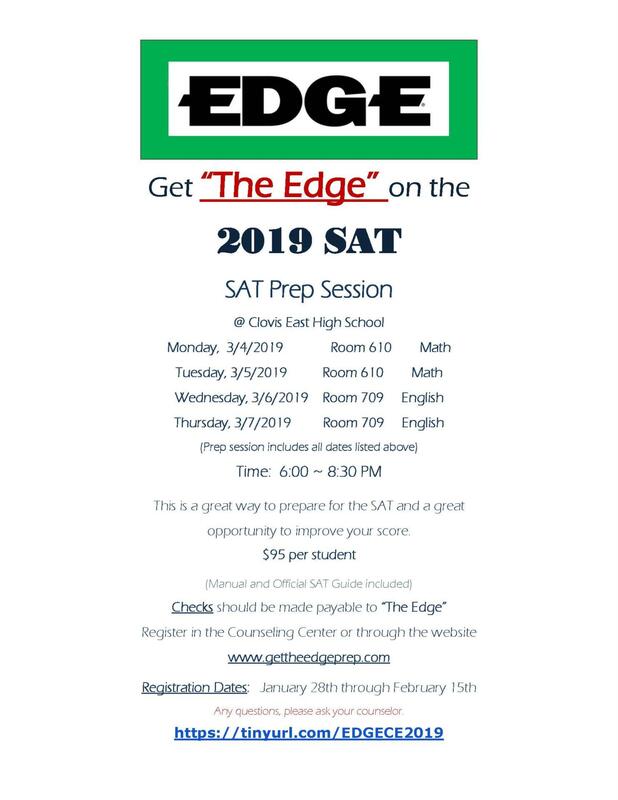 We encourage 8th, 9th, 10th, and 11th graders to take this exam in preparation for the SAT. This test provides an excellent opportunity to participate in a National testing program, and can be an effective diagnostic tool. There is no passing score for this test. The new PSAT/NMSQT includes a Reading Test, Writing and Language Test, and a Math Test. Test booklets and scored answer documents will be returned to students in January and an email will be sent out with information on how to review and interpret results. AP exams are taken each year during the month of May. Exams are scored on a 5 point scale and most colleges and universities award college credit for scores of 3, 4, or 5. The amount and type of credit varies by institution. Students who are in need of special accommodations must notify their teacher and AP Coordinator upon enrollment in the course, but no later than January 25, 2019.